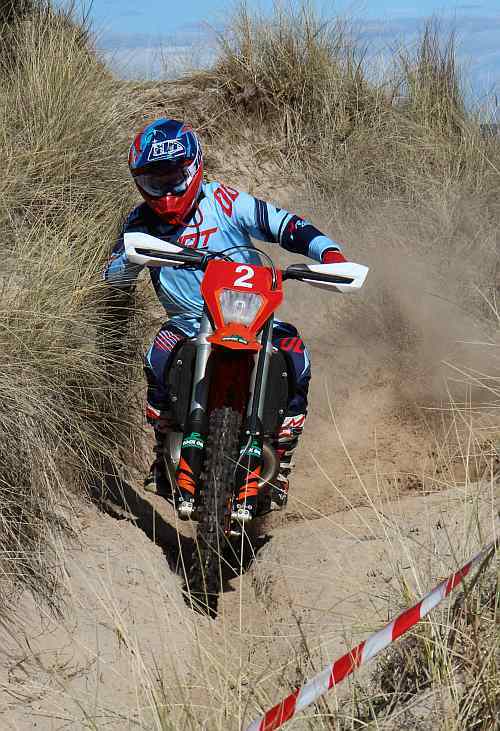 Results Sunday click here . 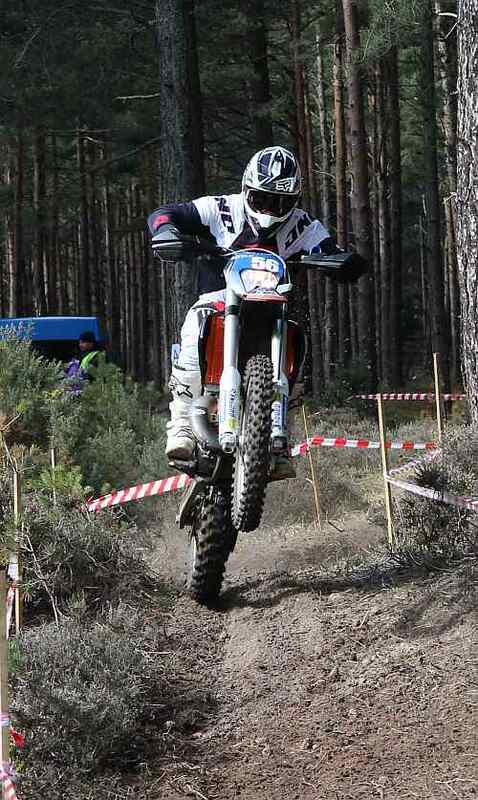 Frazer Norrie was in fine form winning both days - with a close battle with Fraser Flockhart on his Yamaha. 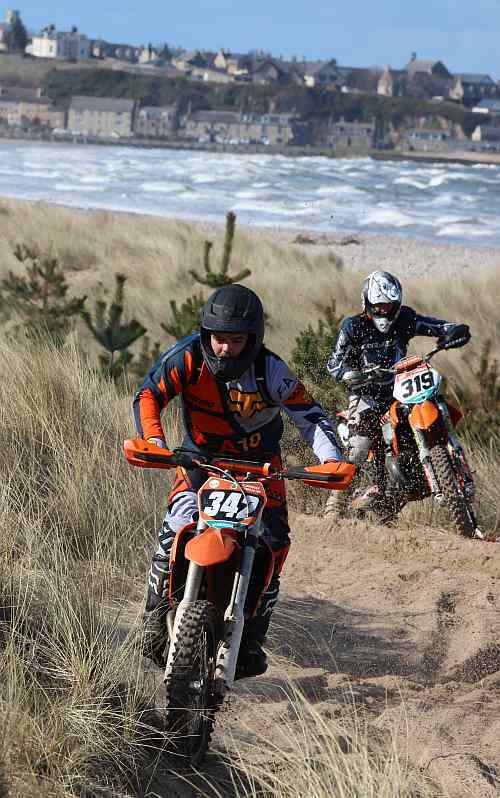 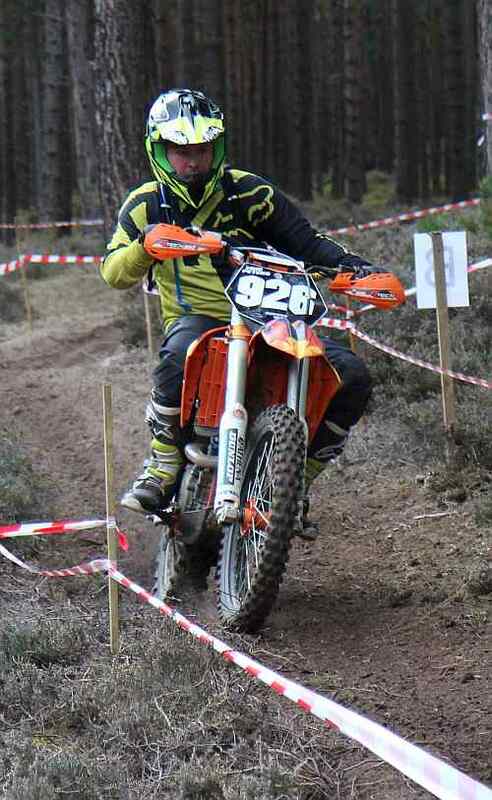 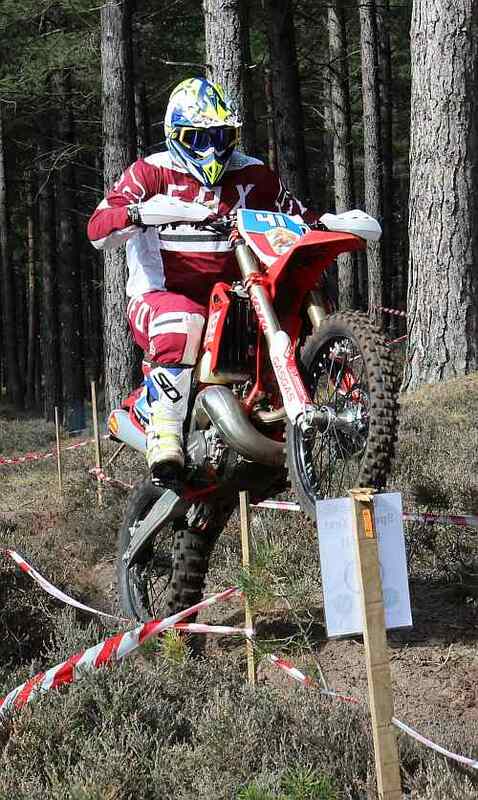 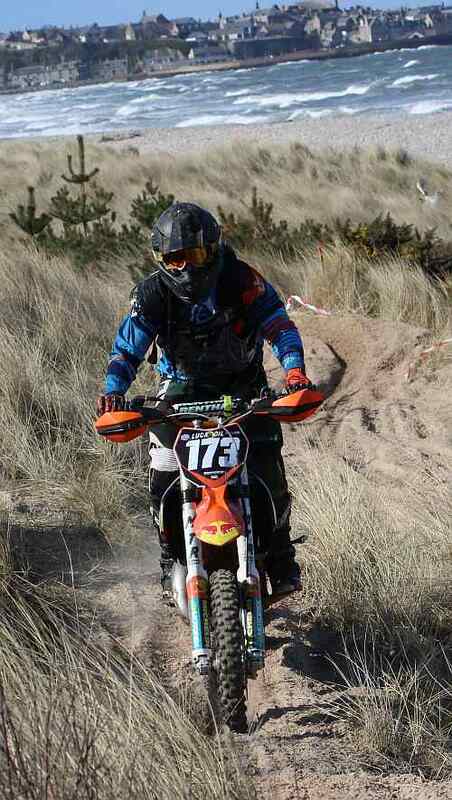 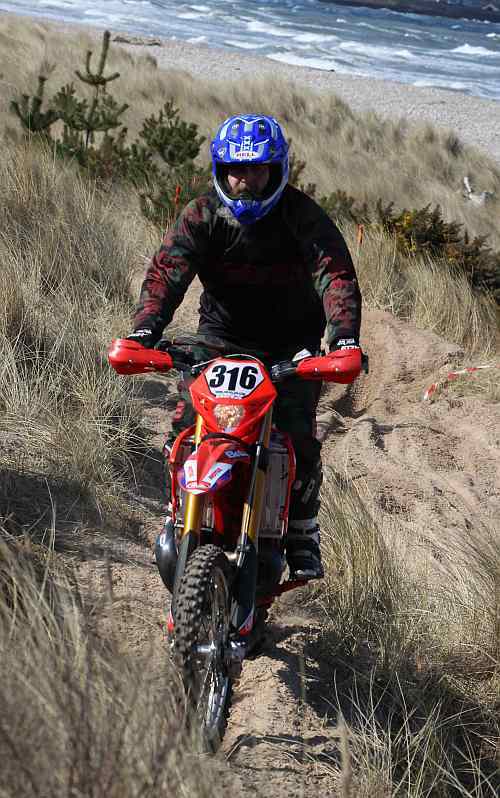 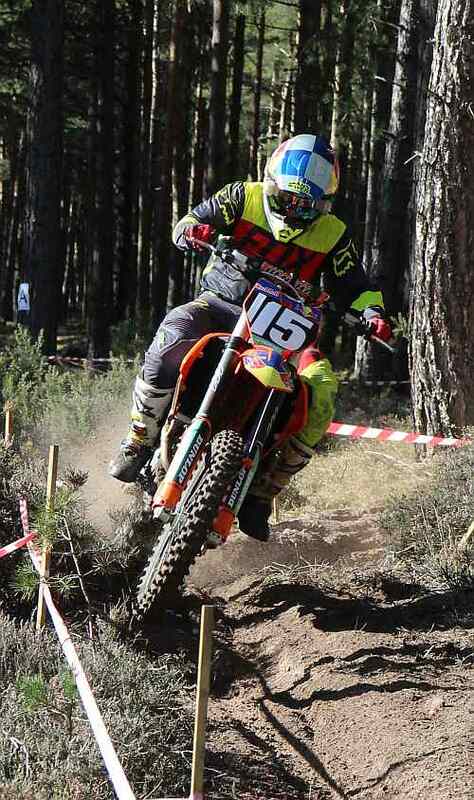 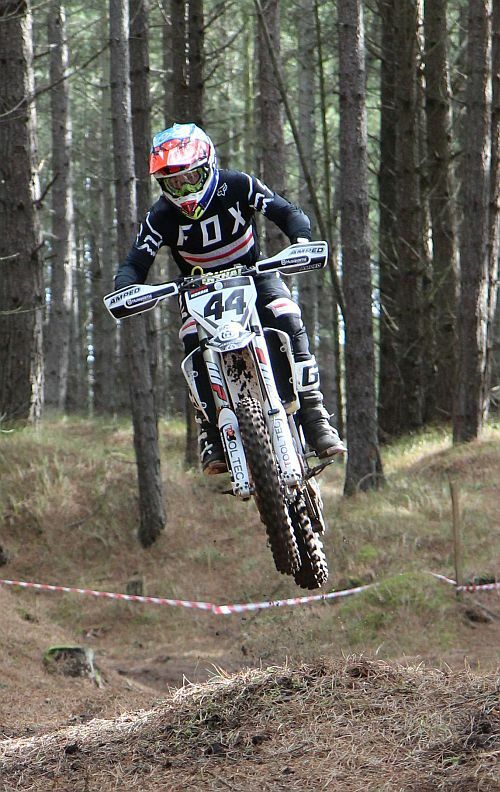 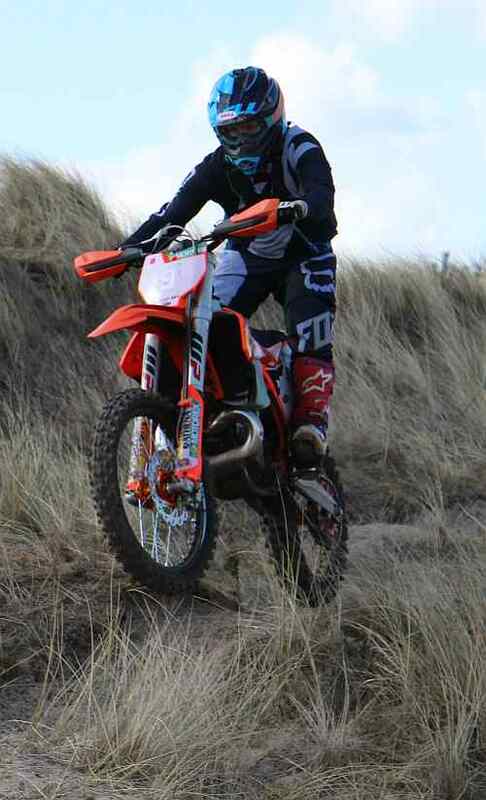 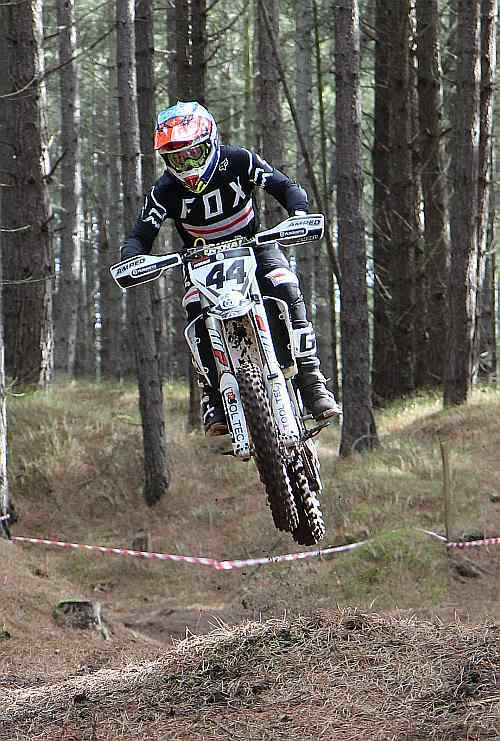 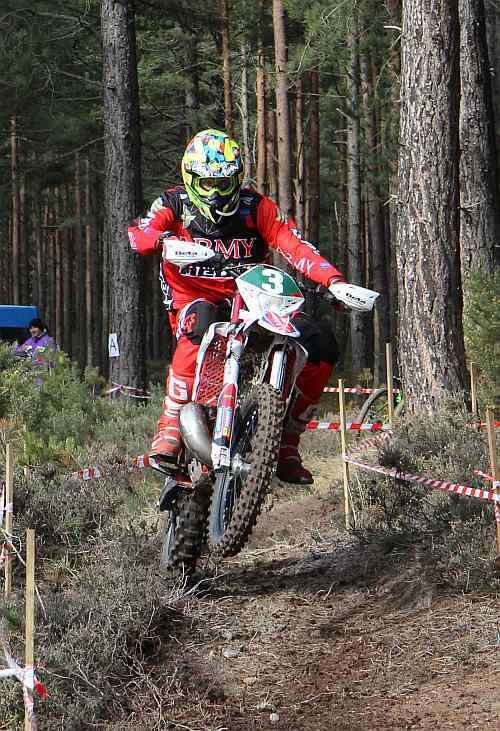 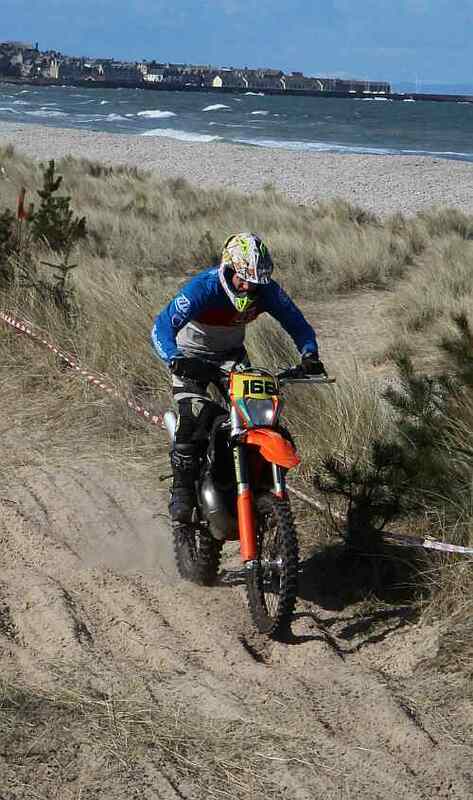 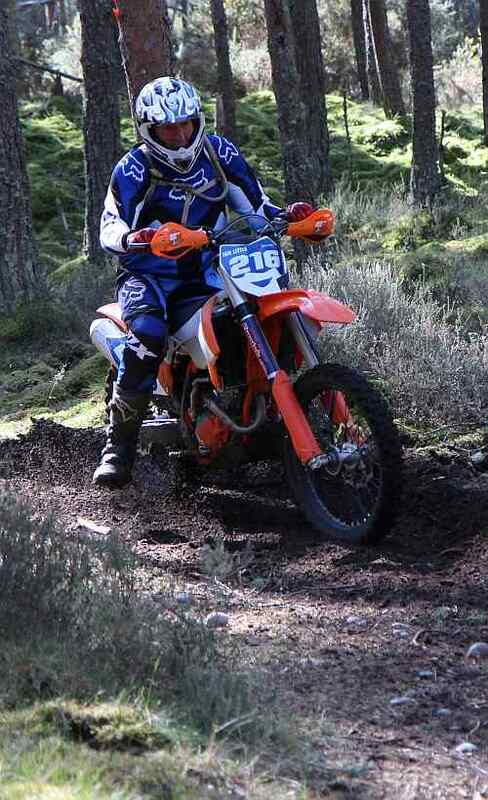 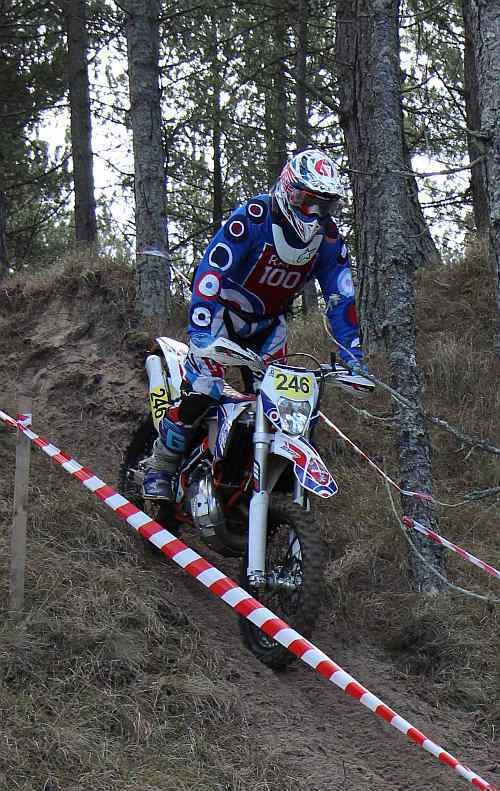 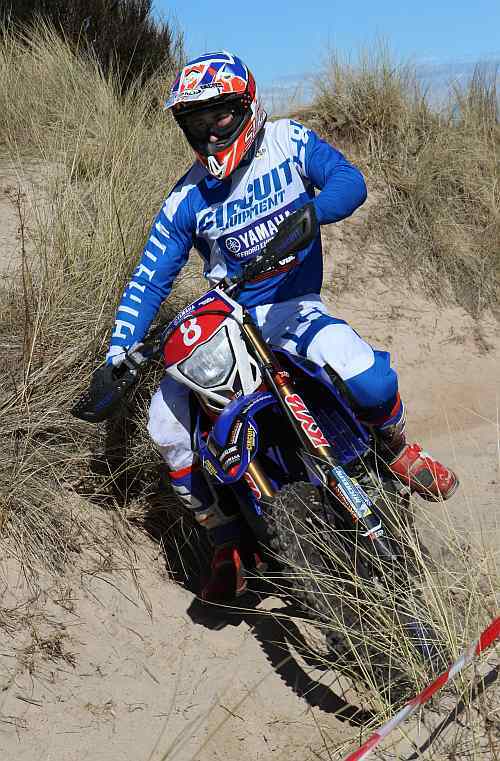 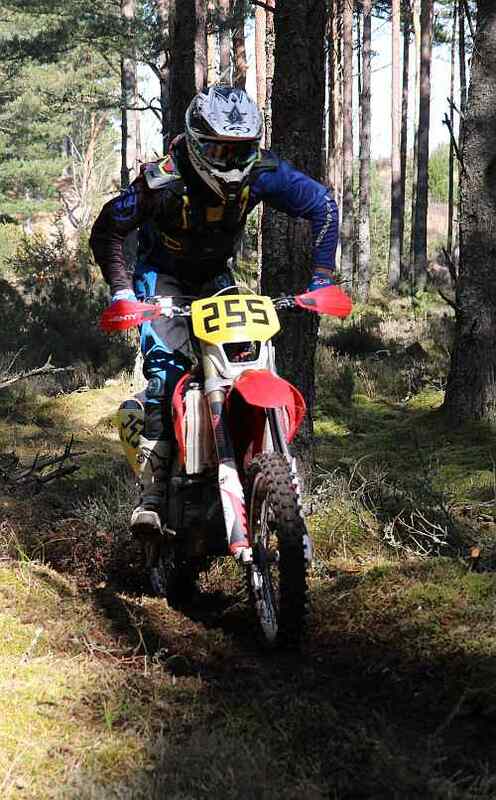 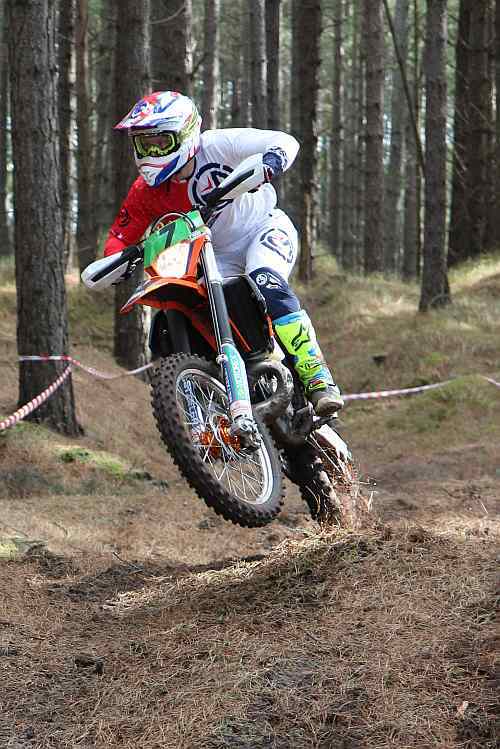 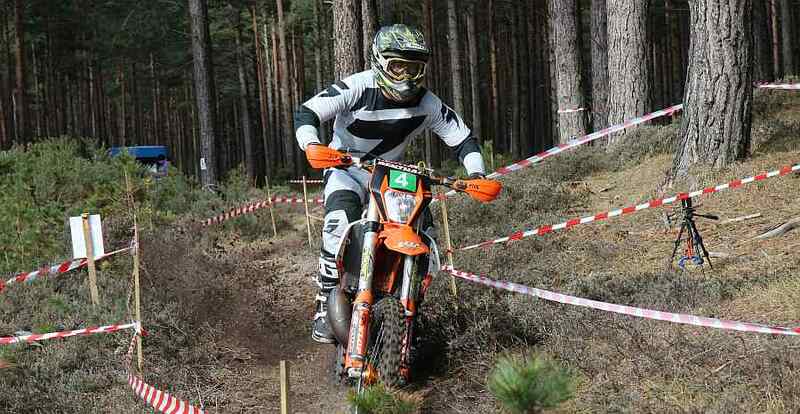 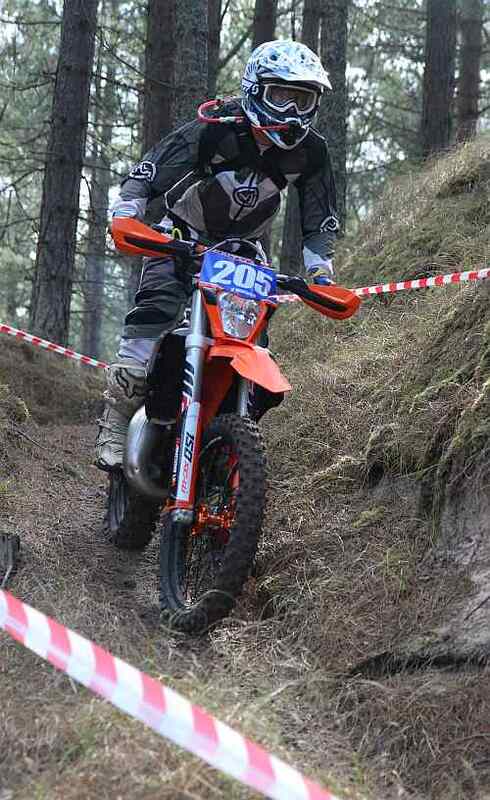 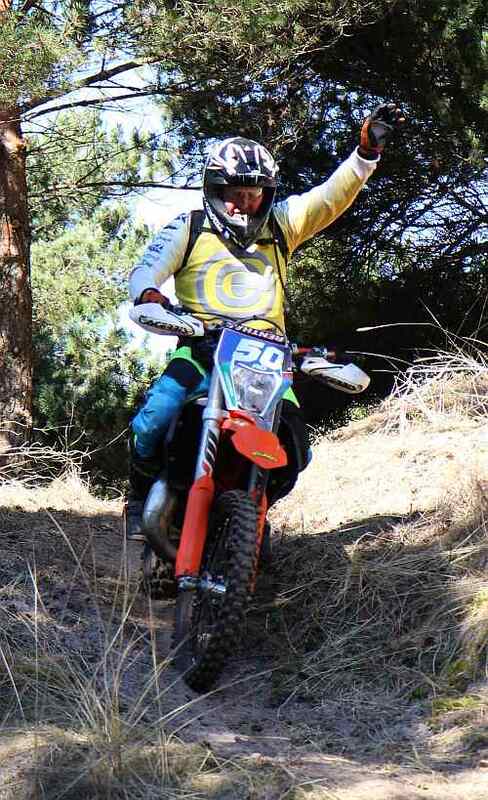 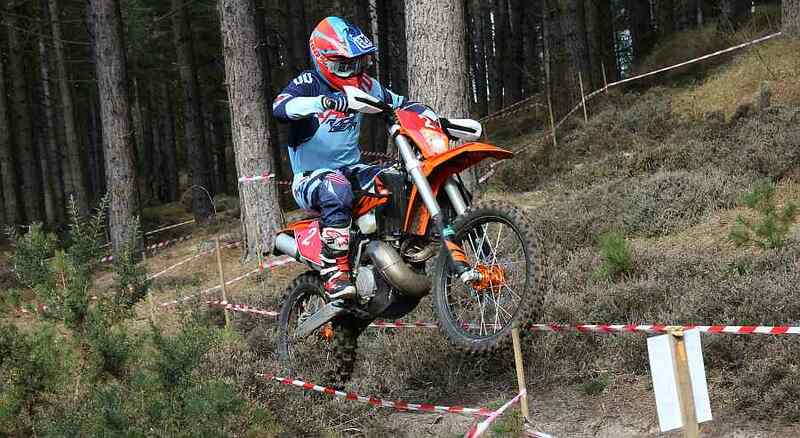 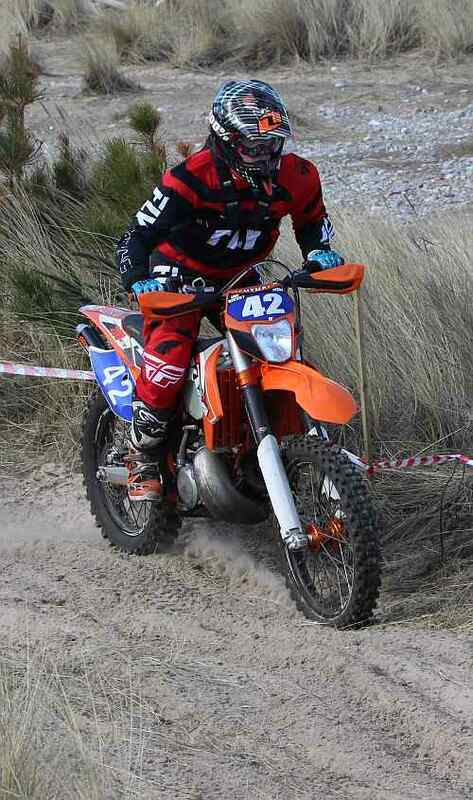 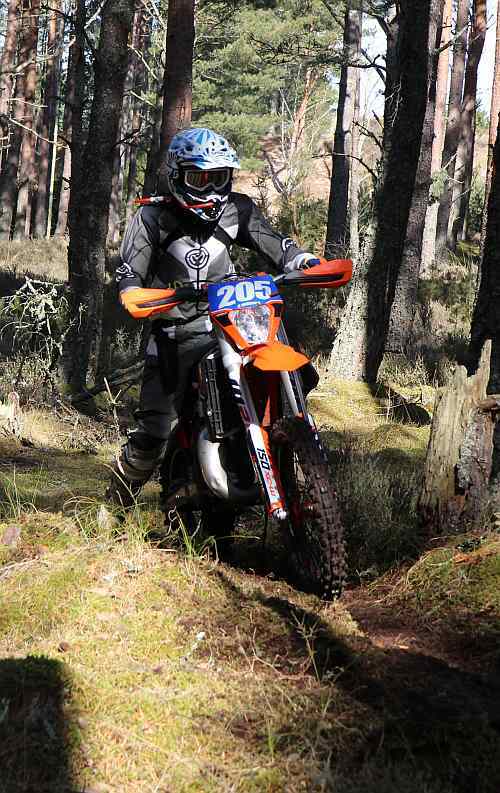 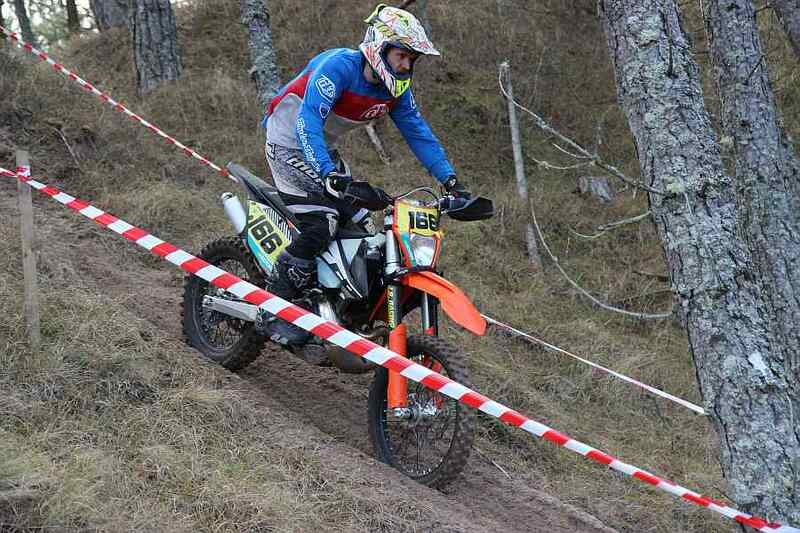 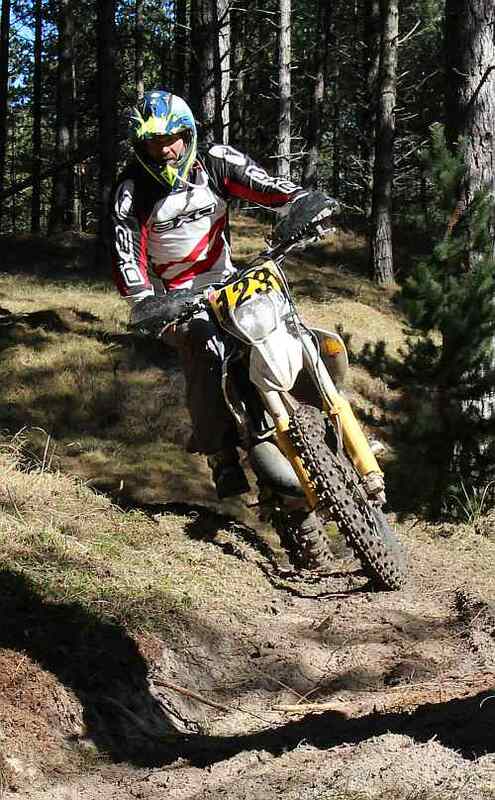 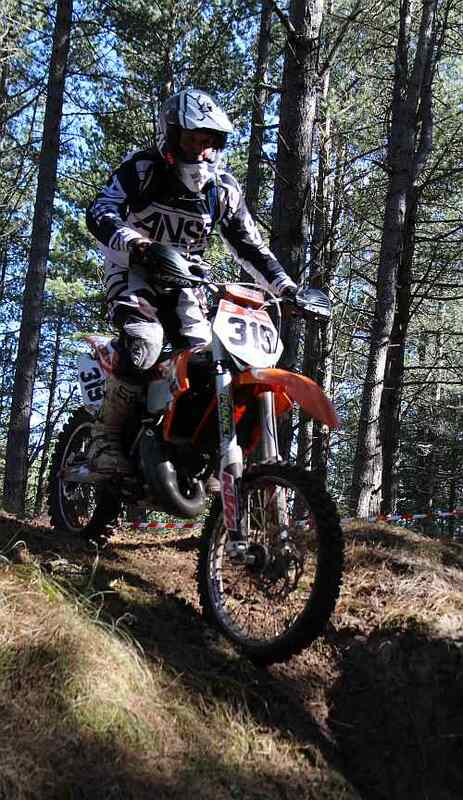 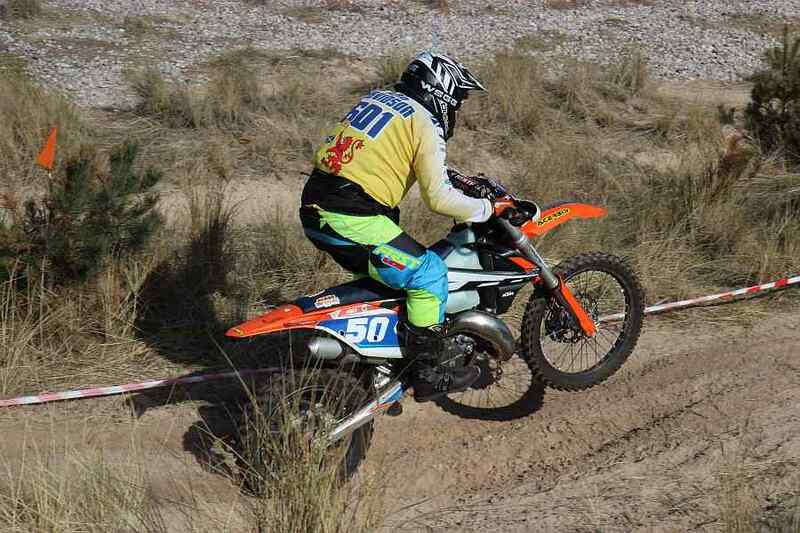 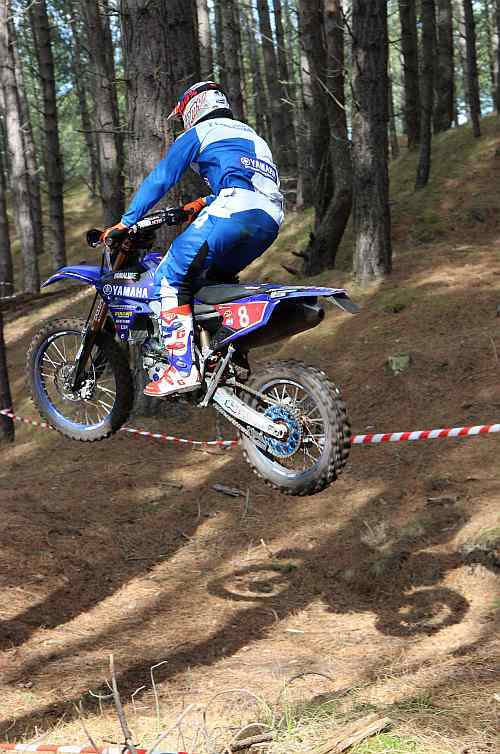 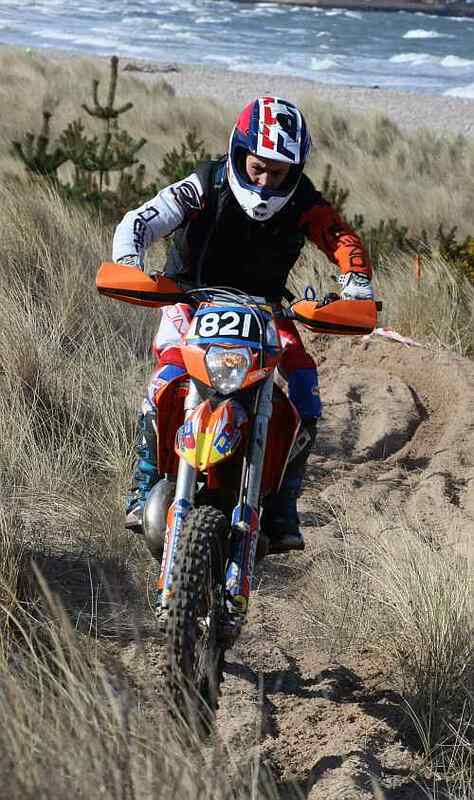 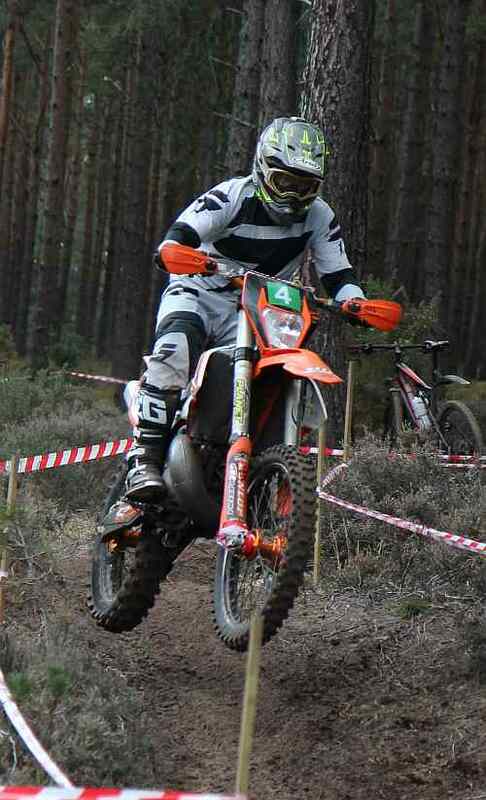 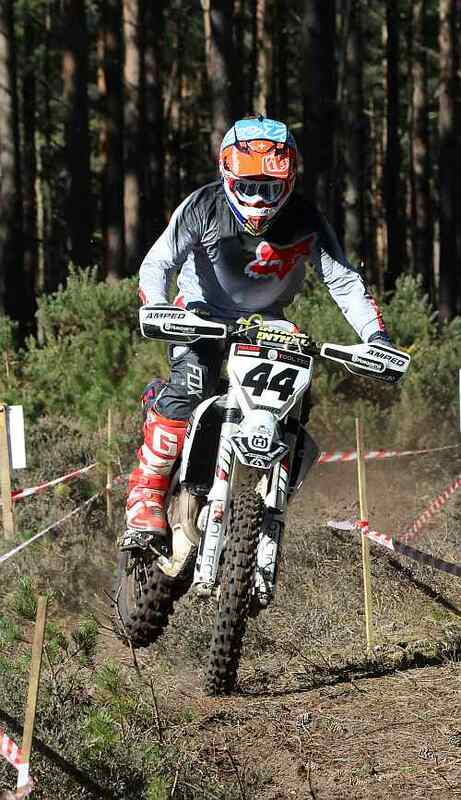 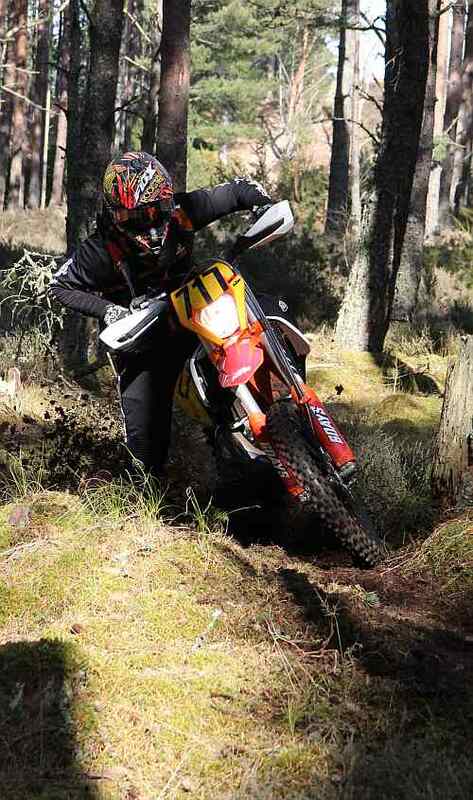 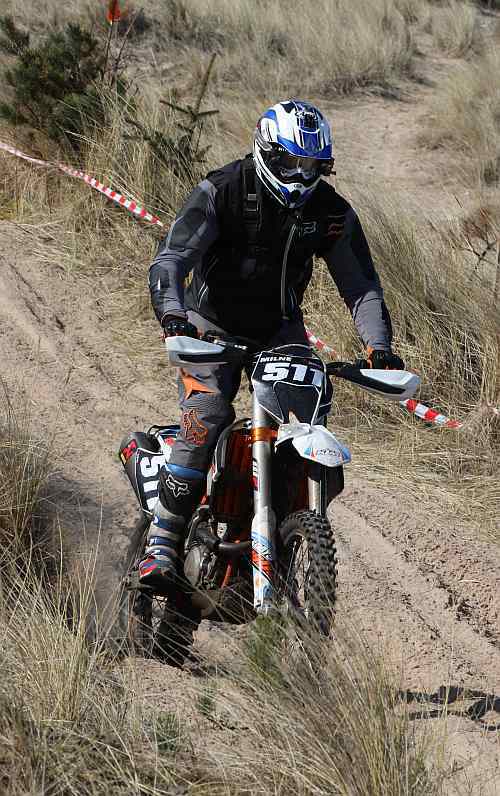 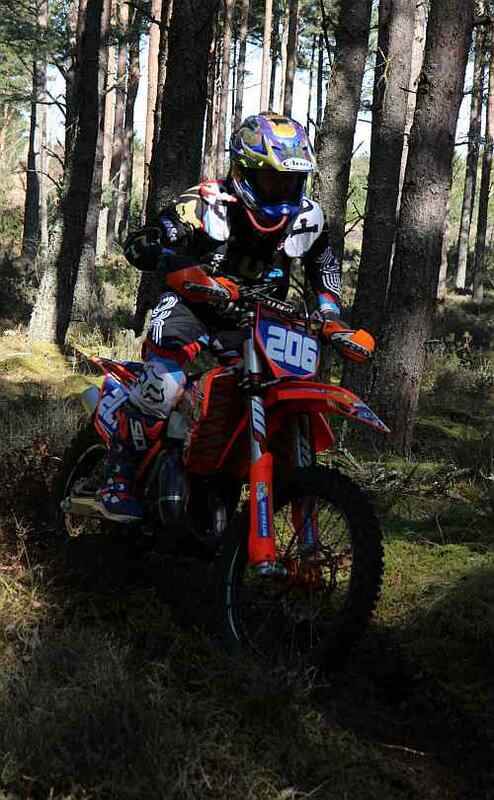 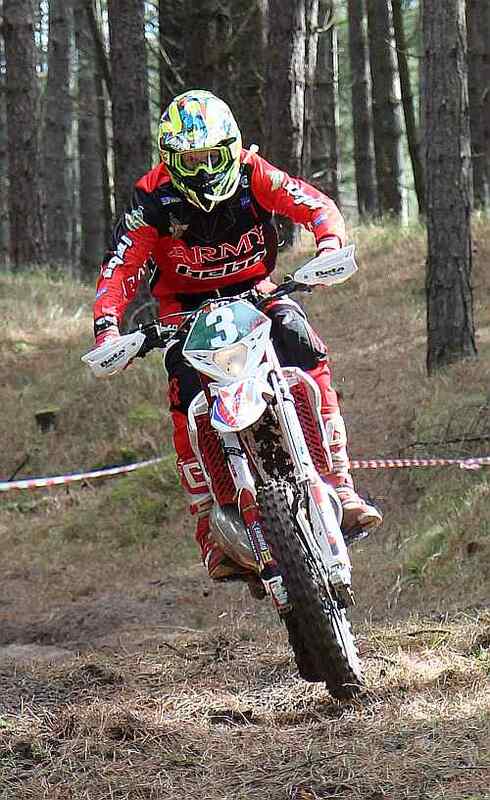 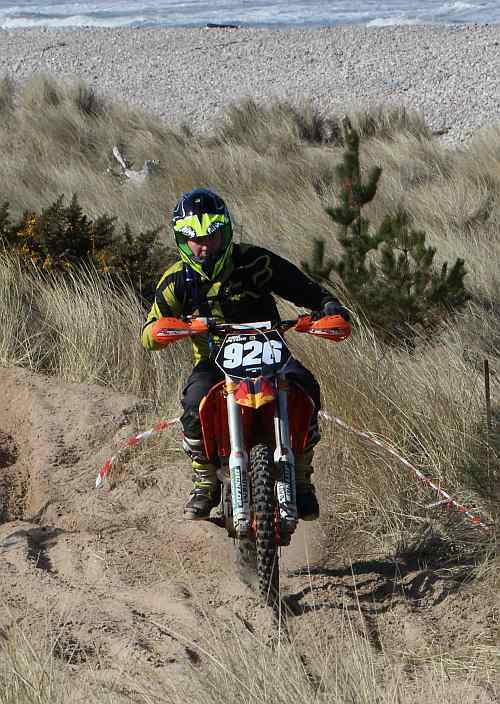 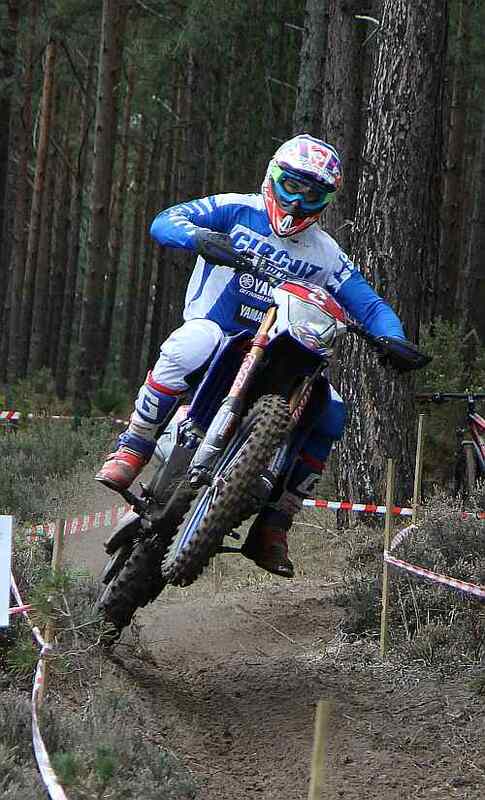 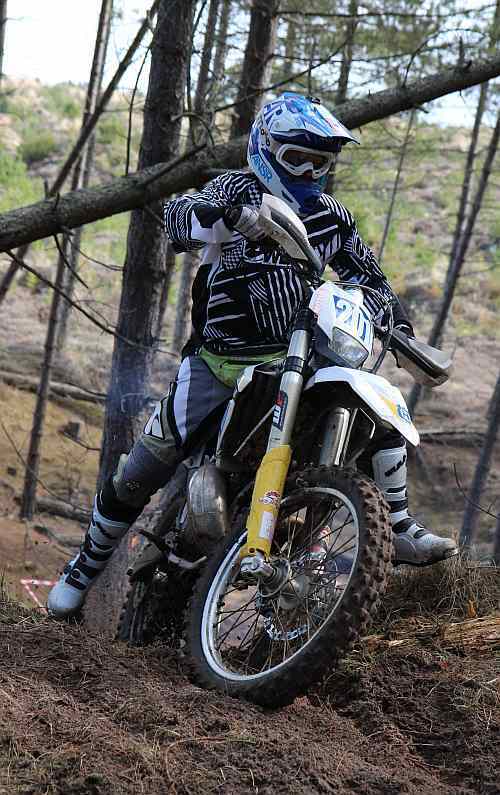 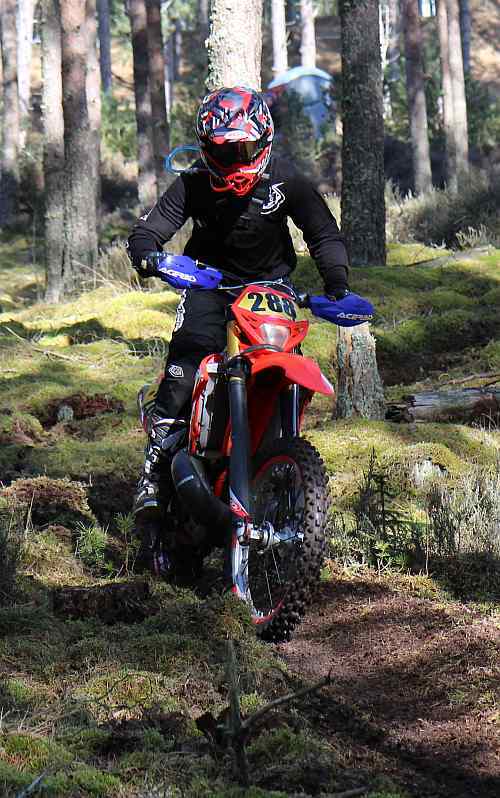 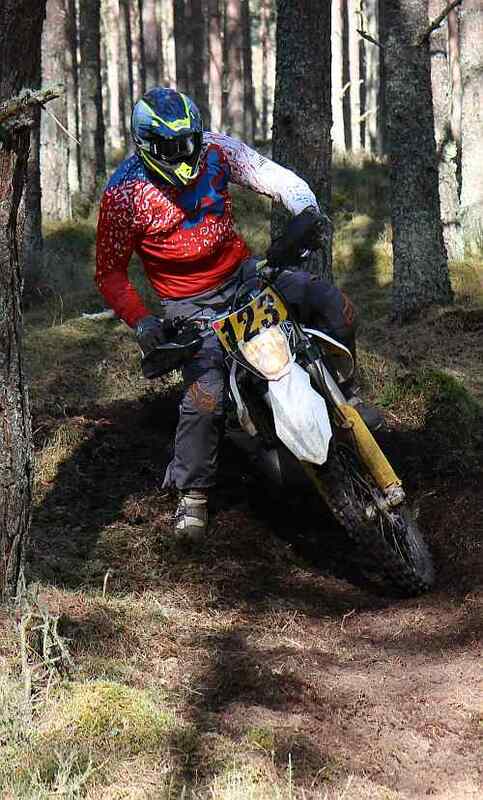 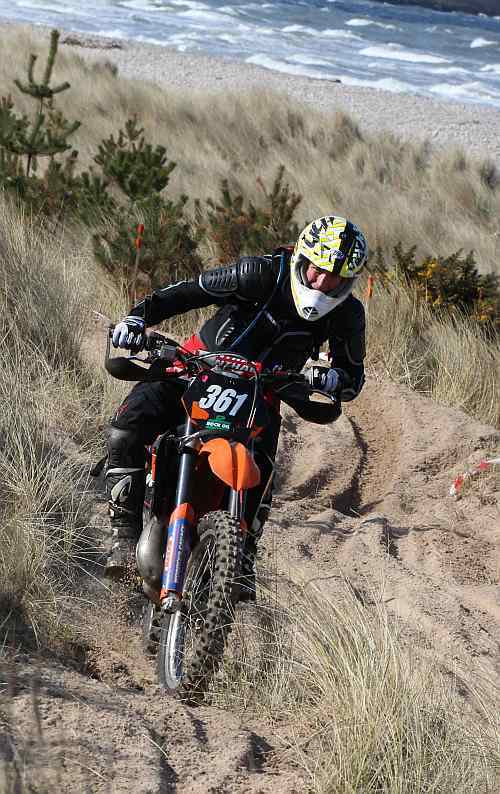 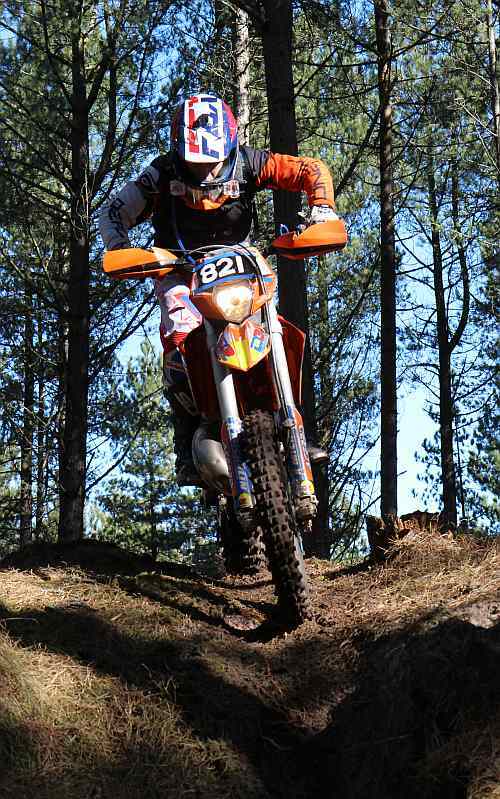 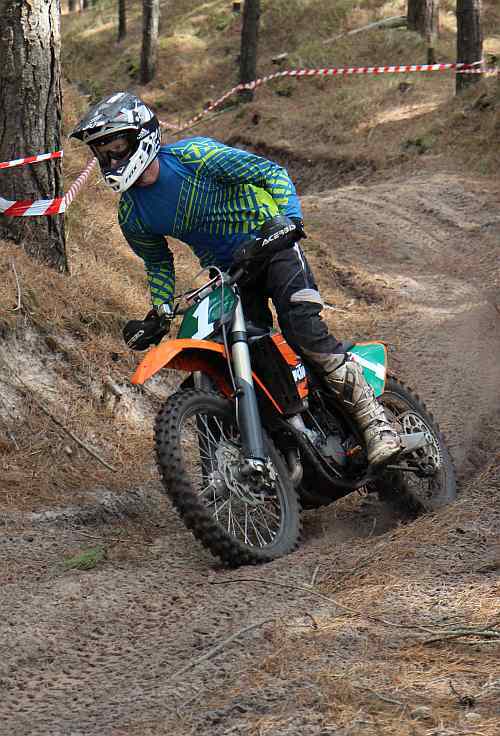 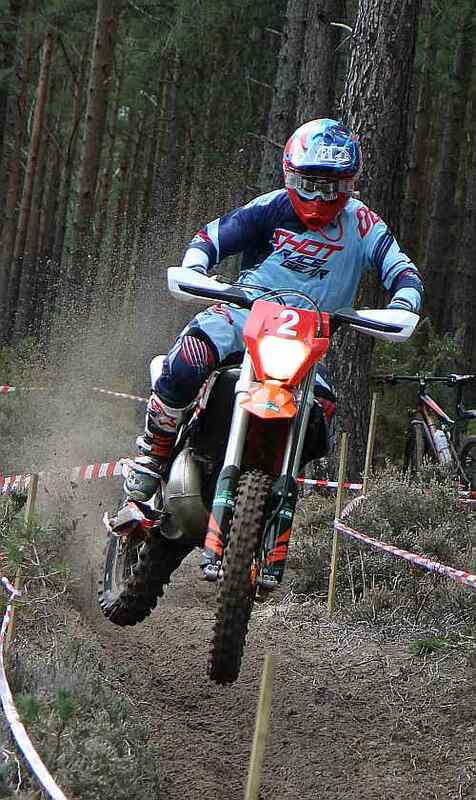 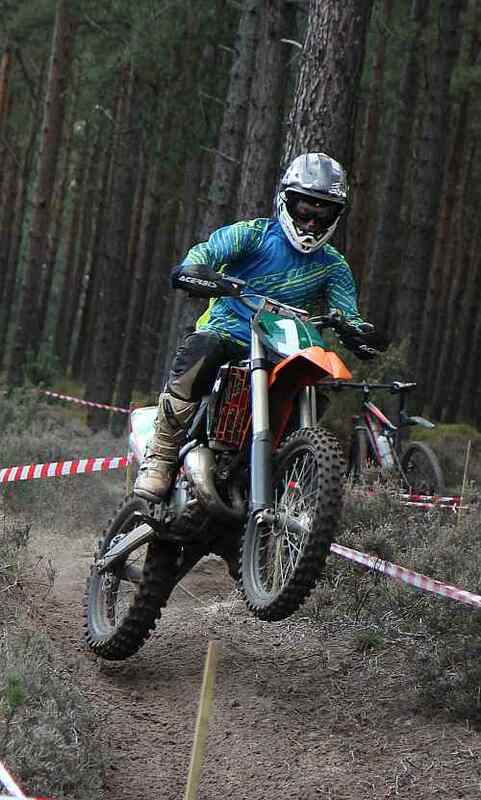 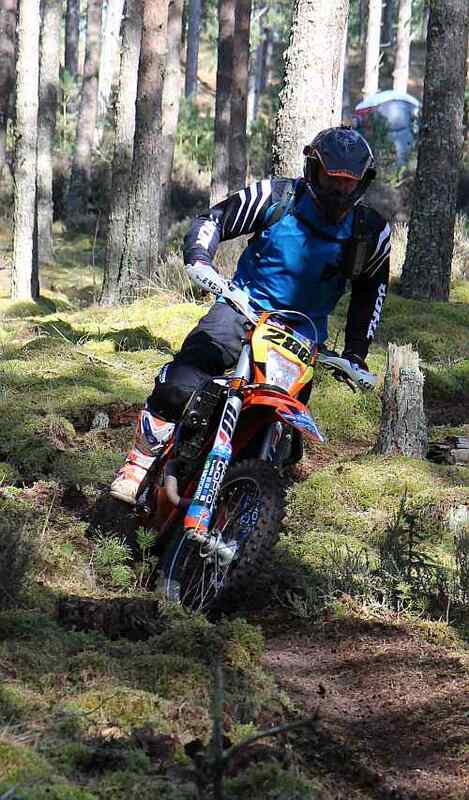 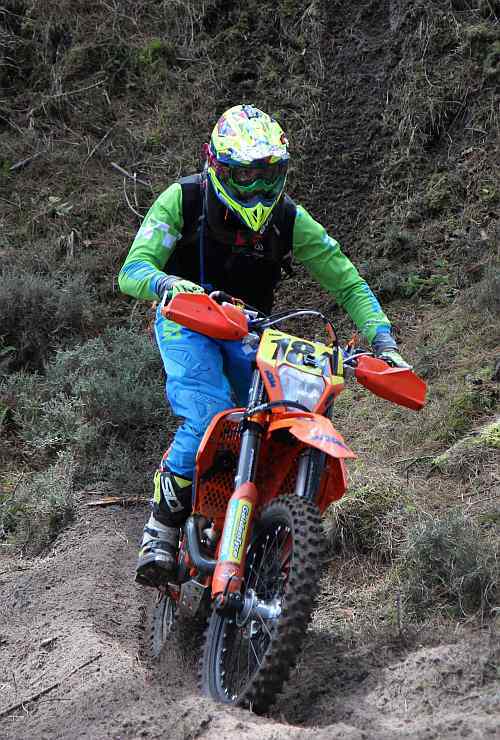 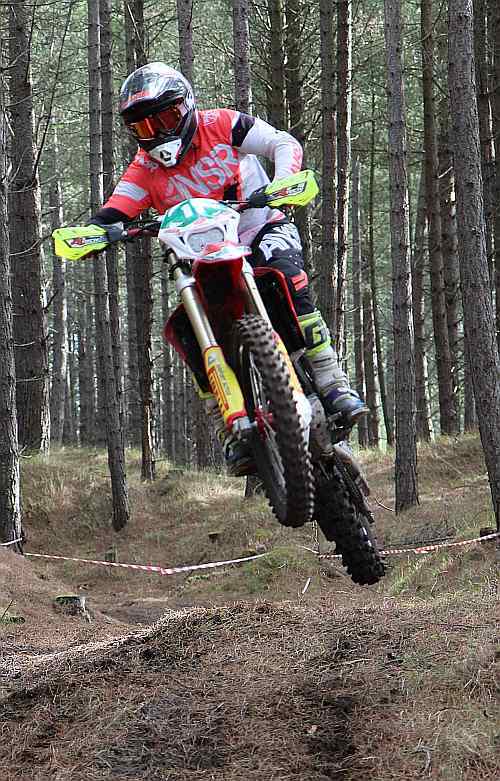 In the Clubman B Angus Bruce finished his first Enduro winning both days to set up an exciting season. 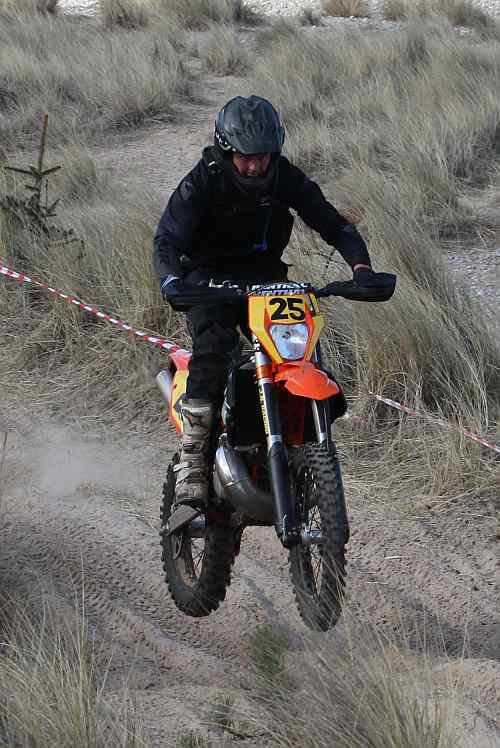 Another great event from EEC and a big thank you to the club - with Kevin adding lots of new ground and Barry his usual efficient self (But he should really be resting !) 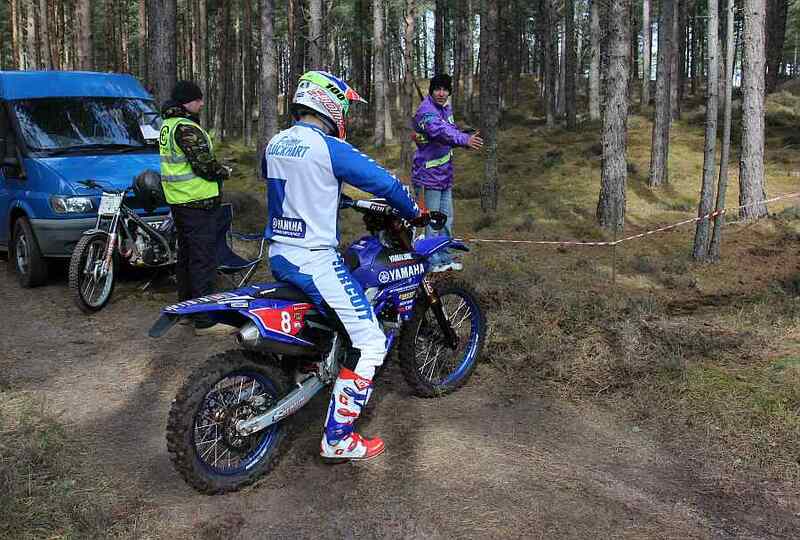 And Francis running the checks and keeping everyone in order. 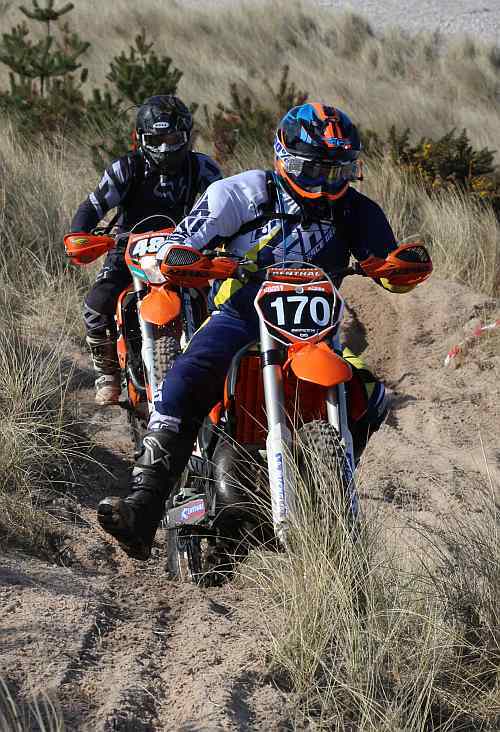 And a great big thank you to the new timing team of Mitch, Alan, John and Kirsty . 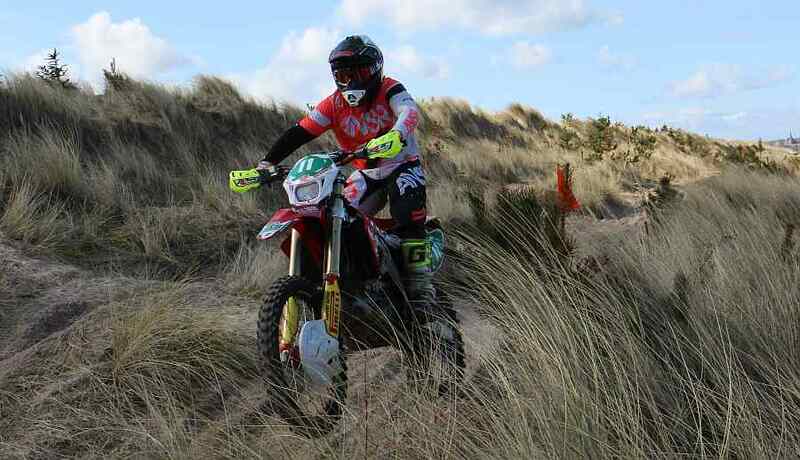 No errors or missed times over both days - despite the riders best efforts. 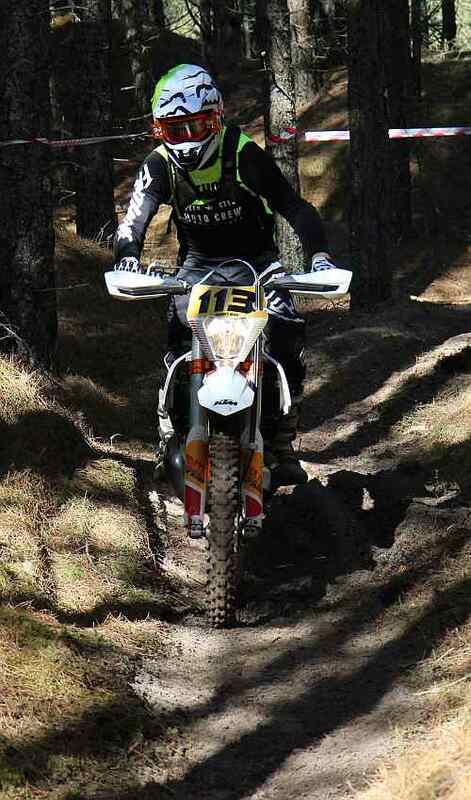 This year we saw a white front plate (vaguely pink) with white numbers and another rider with white numbers on a yellow plate - give us some help and make your numbers easy to read as you ride past. 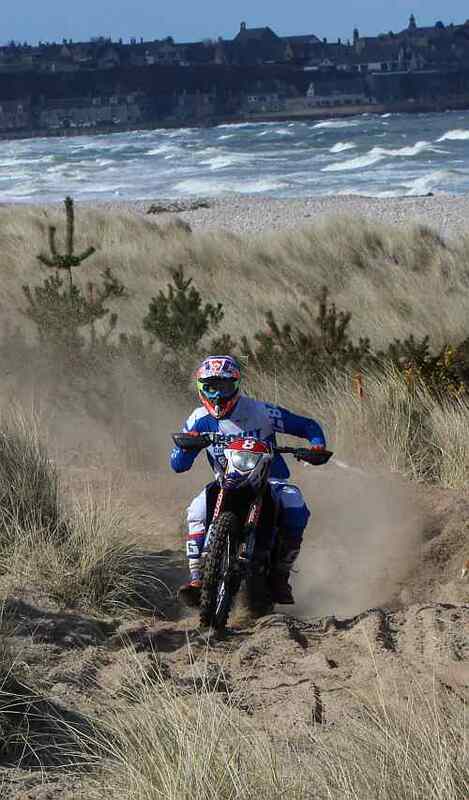 Photo of Frazer in flight and Fraser on the beach . 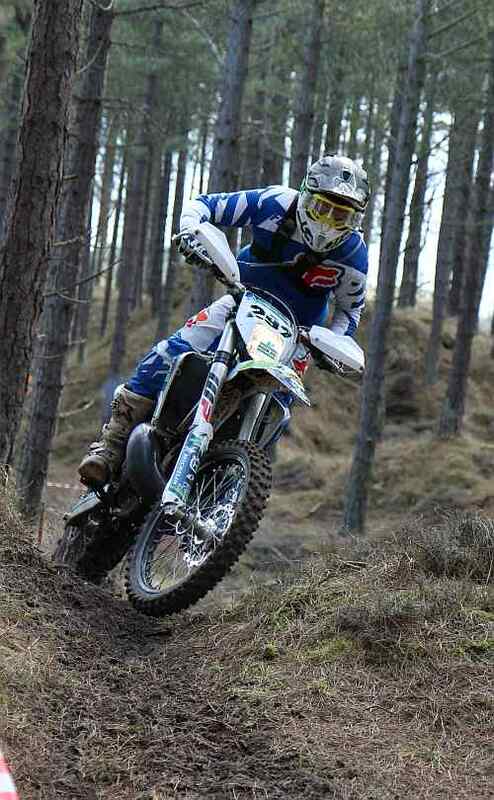 Derek Little - class act. 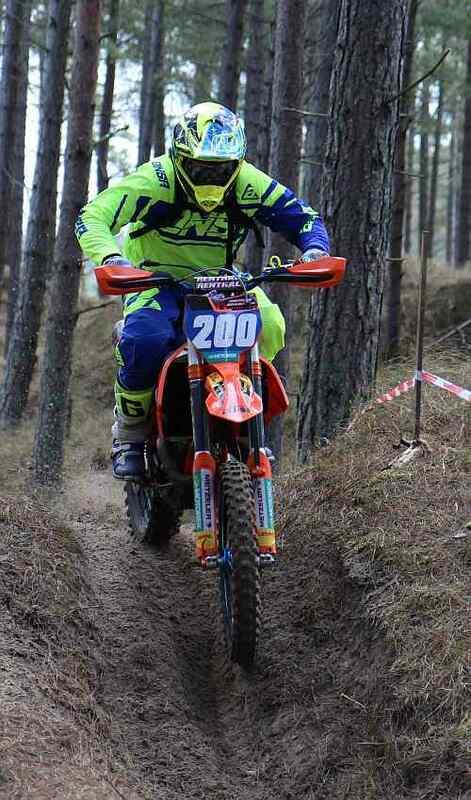 Can't see the bike for the trees ! 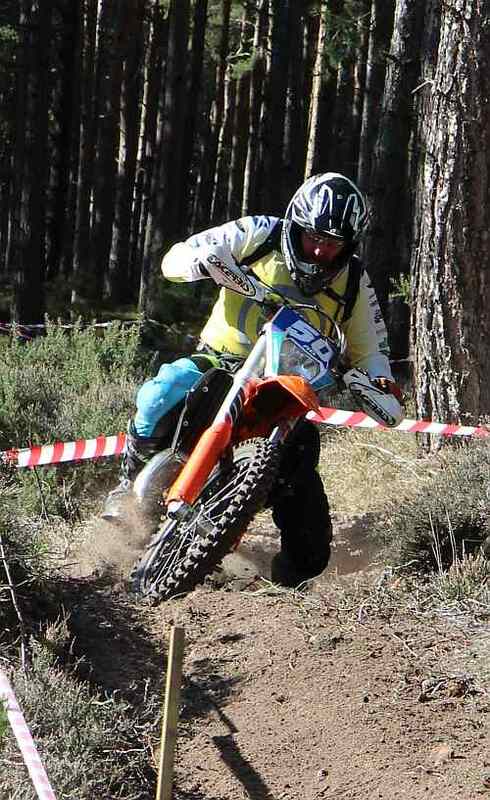 Ben Mitchell - I think. 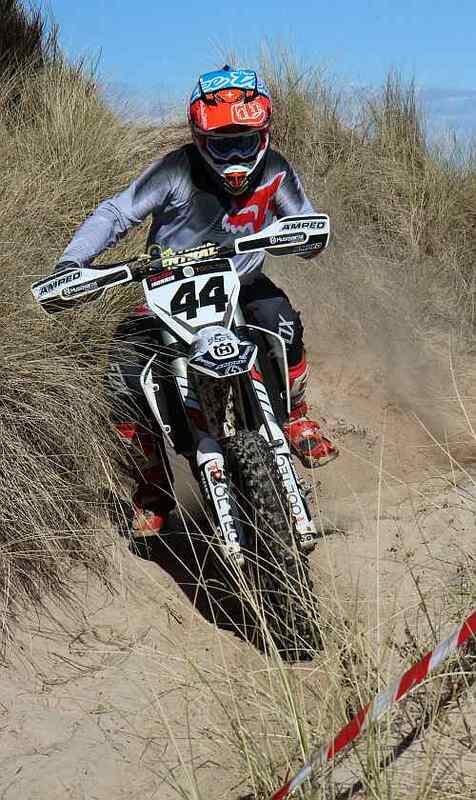 White numbers on white . 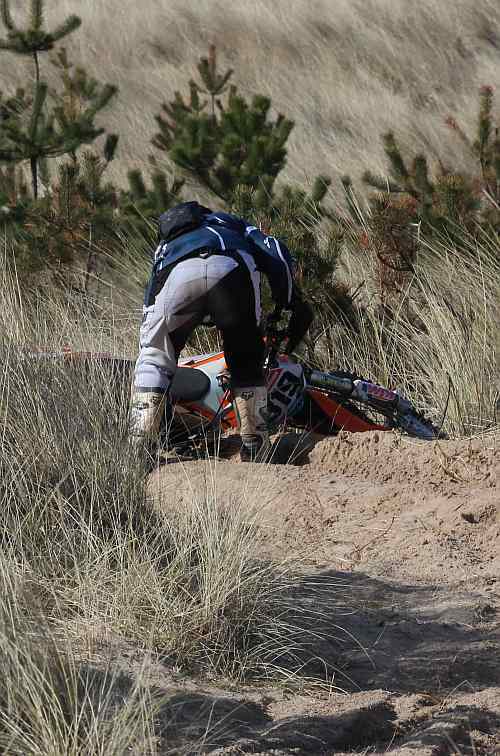 . .
Alan D - finally gets his knee down ! 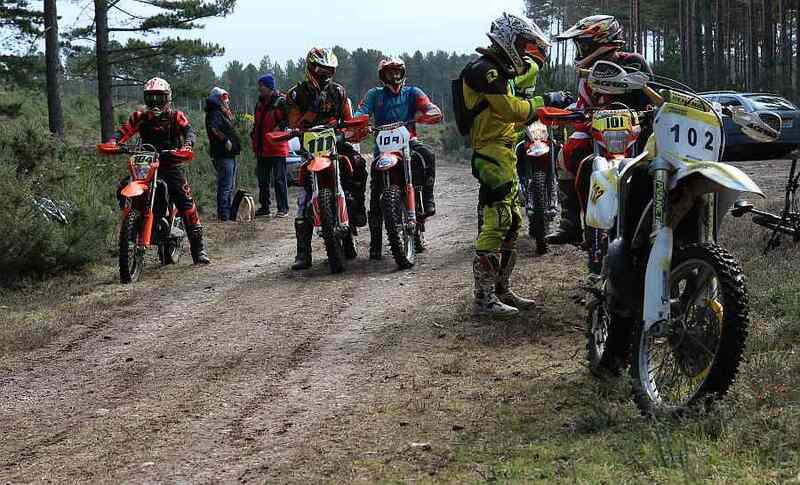 The "B" crew -we can't do it without you !! 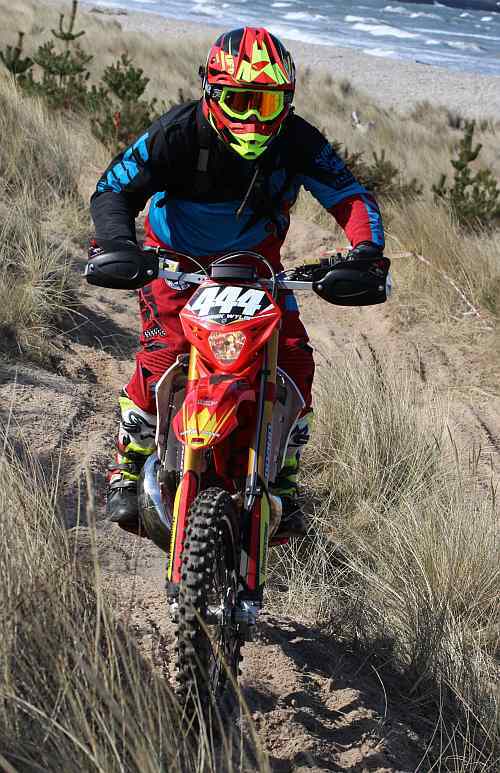 Mentally preparing before the last test. 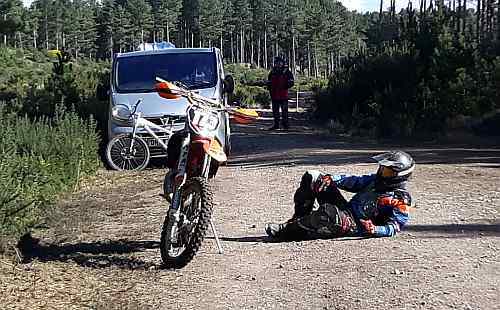 . . ..